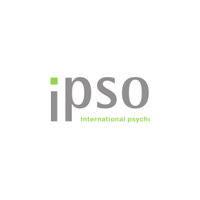 The International Psychosocial Organization (Ipso) is a German-based humanitarian organisation with a branch in Afghanistan. It is an international non-governmental, non-profit and non-political organisation, which delivers psychosocial counselling services according to best practices to the people in need. The services are open to all people, regardless of which ethnic background, religion, race, gender or political affiliation. Psychosocial Counselling and Mental Health Center in KabulThe Psychosocial Counselling and Mental Health Center in Kabul is an initiative founded by the German Foreign Office and implemented by the organisation Ipso. The Centre is located in the centre of Kabul and it is open to the public on 6 days a week between 8:30am and 6:00pm. All Afghans who are facing personal problems, are psychologically stressed and are suffering from the high level of daily stress are welcomed and treated with Ipso’s value based, holistic, psychosocial treatment approach.